Zamro, an online provider of technical parts and tools, is a recently spun-off start-up within the ERIKS Group. Based in the Netherlands, the ERIKS Group is one of the largest technical wholesalers in Europe, with annual revenues of almost EUR 8 billion. In order to cater more effectively to SMEs and accelerate its own growth, Zamro created a B2B omnichannel commerce solution with online stores in the Netherlands, Belgium, and Germany. The entire project took just five months to complete. The new platform is based on Intershop Commerce Suite in conjunction with Intershop Order Management. Zamro has an online inventory of around half a million industrial components. Thanks to Intershop, the project was completed in a record time of just five months. Zamro posted a 35 percent increase in sales in the first five months after launch. Create an easily replicable web store that facilitates fast international growth with convenient addition of new channels. Construct a platform that supports large numbers of transactions and enables easy management of around a million different products going forward. Include a flexible order management system as part of the solution, allowing full integration of a large supplier base as well as seamless connectivity with warehouse systems. Intershop Commerce Management 7 serves as a flexible platform for the Zamro online store—all hosted in the cloud. Intershop Order Management (OMS) provides order orchestration as a fully integrated part of the solution and supports future drop shipping operations. Unique B2B online customer experience with transparent pricing, detailed product search, and convenient ordering. With its extensive product range, numerous product variants, and omnichannel strategy, Zamro is a one-stop shop for technical parts and tools. The Intershop OMS supports multiple sales tax rates as well as localized e-mail and invoice templates, enabling quick and easy roll-out of stores in new countries. 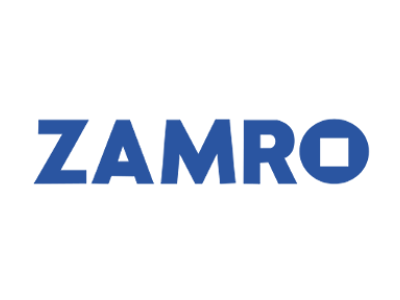 Intershop self-service functionality incorporated into the Zamro store is particularly convenient for smaller businesses that do not have a dedicated procurement department. As an innovative, fast-growing company, working with Intershop gives us an experienced partner for our ambitious B2B e-commerce strategy. The platform fulfills our need for an innovative yet cost-effective solution that is flexible and scalable enough to help drive our future growth. We also appreciate the incredibly short project timeframe, which helped to enable our rapid market launch.